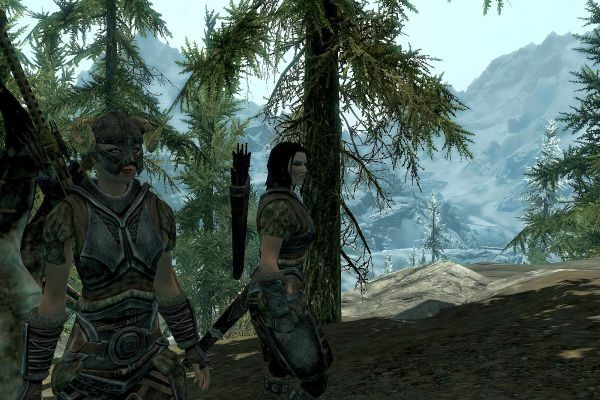 Women warriors in plate male, from the game Skyrim. I’ve seen less realistic things. But also more. In the current era, gender roles are a lot more loose than they used to be. The career choices, for instance, are actually choices. Female soldiers may have a tough time getting along with their male comrades (this varies a bit from country to country) but there are still a bunch of them. More and more doctors are women, although the number of male nurses have not risen to the same degree. And while most carpenters are still men, this is now largely a personal choice: You won’t become an outcast if you take an unusual job, at least if you are a woman. When kids these days play sword and sorcery type role playing games, they are as likely to run into a female warrior or thief as a male, even though the setting of the game is “medieval”, and in the actual Middle Ages this was extremely rare. Is it simply a projection of our modern ways of thinking into the past? Why didn’t women become soldiers and adventurers in the Middle Ages? If you think it was because of the particular religion in the Middle Ages, you are way off. The religion may have made up a cultural framework for the era, but all religions had to adapt to the real world to some degree. And in the real world, women needed to have children, lots and lots of children, to even keep the population steady. The era of rapid population growth started only a couple centuries ago. Part of this was progress in agriculture, of course. But if starvation was what limited population size, it would have made perfect sense to have female soldiers. That way, in the unfortunate case that they fell in battle, there would be no children of them henceforth and fewer mouths to feed. But in the real Middle Ages, and before and later as well, there were other factors that checked the population growth. One was war itself, of course. From time to time, a king would decide to invade a neighboring country which he thought he had some claim to, and armies rode off (or marched off, in the case of peasants) to do battle. While there were no weapons of mass destruction at the time, battles were quite savage. Many died on the battlefield, and others died afterwards from the wounds. (Even minor wounds were often fatal because of infections.) Thus, in order to have enough warriors at all times, it was necessary for the women to stay at home and give birth to more boys. A woman would generally be much less useful than a man on the battlefield, due to the difference in size and muscle, but if she stayed at home she could give birth to several boys who would grow up to strong warriors in the wars of the next generation. Basically, if there were any societies that sent their women to do battle, these societies were conquered and replaced by those who did not. In addition to death by sword, there was also death by plague. From the High Middle Ages onward, bubonic plague was a recurring scythe over Europe. Other horrors like typhoid fever and diphtheria ravaged the land later, and not least smallpox. “A pox on your house” was a curse that was quite likely to come true. While starvation made all these worse, even the well fed could not stand up to the Great Plagues. It was not uncommon in a village for farms to be empty as everyone in the house had died, or only a child or two remained to be taken in by relatives elsewhere. So if you had more than your fair share of kids, there was a decent chance that they could take over someone else’s farm, or smithy, or fishing boat. Usually a relative, of course, but for a while after the Black Death there was land enough for pretty much anyone who could work it. With germ theory and improved hygiene, death by plague began to dwindle. While it is still a threat, we don’t think much about it right now. Maybe a new super-plague will wipe out most of the human population, in which case I suspect gender roles will begin to revert to their earlier form. I am not eager to see that hypothesis tested in practice, though. If you are planning to write a fantasy novel, or for that matter a science fiction novel, you should keep the above in mind. Basically the question is: Your population, is it limited by free will? By starvation? By plague? By war? Alien abductions? Infertility viruses? Any combination of the above? The first of these – contraception and starvation – encourage sexual equality, as this brings population growth down. Any other limiting factors will encourage women to stay home and give birth to babies and raise them. If food supply is the limiting factor but only temporarily, there may be other ways for society to bring down birth rates, such as women becoming nuns in large numbers. A more drastic solution is to kill female babies, to ensure that most children who grow up are warriors who can expand our lands. So you see, if you want to have lots of chicks in chain mail, you need to do your worldbuilding right. Or you could target a stupid audience, I suppose.